The transport of dangerous goods by air is growing in importance – but at the same time, the safety regulations are becoming more stringent. For those wishing to master all the complex legal requirements and directives, further training is essential. The Dortmund Airport Cargo Service offers expert consulting and training courses on this subject. 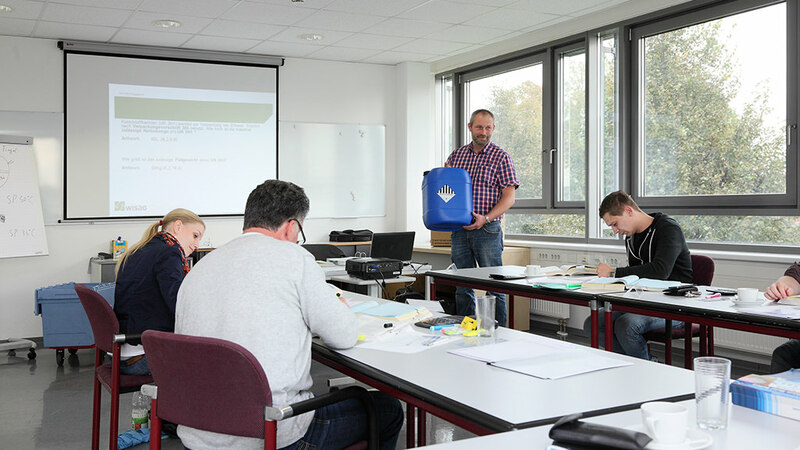 Our Dangerous Goods Seminars are recognised by the German Civil Aviation Authority in accordance with the provisions of the ICAO-TI, IATA Dangerous Good Regulations and the JAR OPS. Our seminars are not just about dry theory, but focus on everyday examples of practical business. For those who require more, the employees of the Dortmund Airport Cargo Service will be delighted to provide you with further consulting services following your training course. In order to register for a seminar, pleases download the following registration form (PDF document) and fax it completed to the following fax number: +49.231.9213-555. If you have any questions or require further information, please contact us on: +49.231.9213-500. However, registration for the dangerous goods training courses must be made in written form.